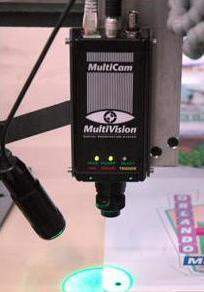 MultiVision is a high resolution digital video camera and software that uses media registration marks to compensate for the errors often seen with digital cutting. These media registration marks are also known as fiducial registration marks, and are printed on the material as small black dots around each segment that is to be cut. This is done by simply adding them to your original design file. The high resolution digital video camera then recognizes the marks and the information is processed by the software. The MultiVision software compares these marks to the ones that are on the original file. This tool path is then realigned in order to make the cut based on the additional input gained from the positions of the media registration marks. The software then corrects the errors and the machine cuts the job. MultiVision Digital Registration technology can prevent these errors and provide a high quality cut every time. MultiVision is compatible with all the major RIP (raster image processing) software packages, which usually include additional features such as color calibration, tiling, nesting, and more. MultiVision integrates smoothly with traditional graphic arts and CAD/CAM programs as well. 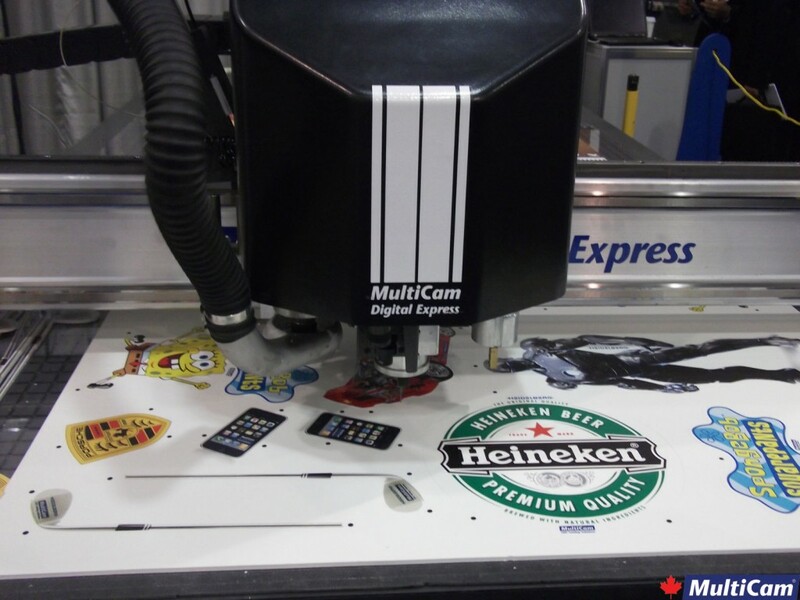 The system’s high level of flexibility and compatibility allows it to be easily incorporated into your workflow, and become an essential component of your digital cutting operations. The sophistication of the MultiVision technology provides a reliable, high quality cut every time. Not only does it recognize the position of the material needing to be cut, it also adjusts for any discrepancies that might be present. The comprehensive algorithms that are incorporated in the MultiVision software provide it with the tools needed to tackle a wide variety of both anticipated and unanticipated cutting problems that may arise. This allows the system to proactively prevent any errors and execute a precise, accurate cut of the material on a consistent basis. This high level of precision and reliability allows for a great decrease in the amount of wasted material as a result of error. So if you are looking for a digital registration system that will provide the highest yield on your inputs and the best quality cut every time, then MultiVision is perfect for you.